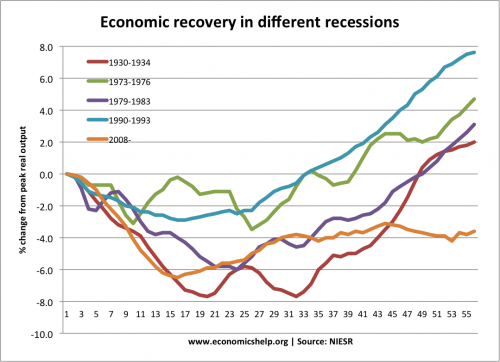 Readers Question What is meant by the term deflationary recession? 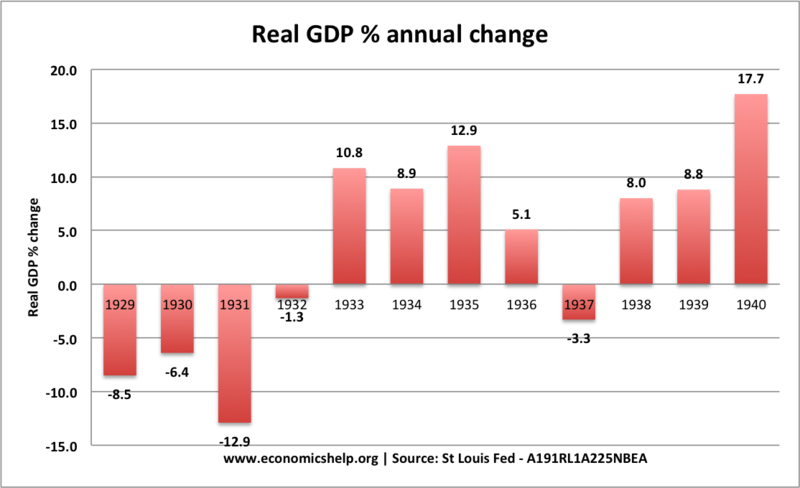 A recession is a period of negative economic growth. 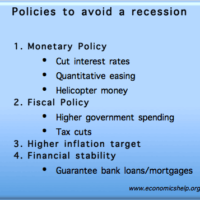 (official definition is a period of negative economic growth for two consecutive quarters) see: Definition of Recession Deflationary pressures imply a fall in aggregate demand. This leads to a lower rate of growth or a fall in GDP and consequently a lower inflation rate. Strong deflationary pressures may also cause inflation to become negative. i.e. a fall in prices known as deflation. 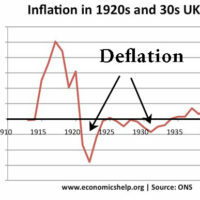 definition of deflation So all recessions have deflationary pressures….